This subject guide provides reliable resources pertaining to the study of philosophy. Looking for introductory essays and articles? The sources below cover many topics in Philosophy. The Philosophy Compass covers the entire discipline of philosophy and publishes original, peer-reviewed, state-of-the-art surveys of current research. The handbooks and companions are focused collections on particular areas in Philosophy. 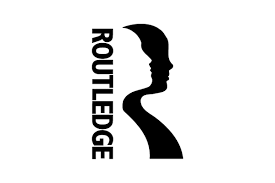 This links to a list of Routledge Companions owned by UR. Both print and electronic versions. Contains specially-commissioned essays on major topics in philosophy. The handbooks offer introductions to topics in the discipline, and are a useful reference resource for scholars and advanced students. Peer-reviewed articles on a variety of subjects. Excellent introductory articles as well. Looking for articles or books on your topic? You can search using the Articles and Books tab to search UR for them, or for citations you've found from step one (If we don't have an article you need, you can request it through Interlibrary Loan - step 3 below). If you're just beginning your research, it's best to start with a philosophy-specific database. This means that your results will all be papers in philosophy. Start here to search the library's resources! An index and bibliography of papers in philosophy. Philosophy Online Description of this database. If you have an article that you like and would like to see who else has cited it since it was published, try Google Scholar - just find your article and then click the "Cited By" link. If your topic is a bit more interdisciplinary - Philosophy and Art, Philosophy and Science, Philosophy and Business....you might try a more comprehensive database like the ones below.